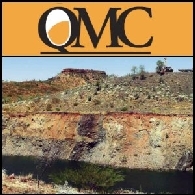 Drill testing of four new targets for copper-gold mineralisation within the Osborne Project, ~160 km south of Cloncurry, Queensland, has commenced. The four-hole diamond drill program (totalling 1,500 m) initiates Minotaur&apos;s inaugural drill investigation of geophysical targets on its Osborne Project tenements. 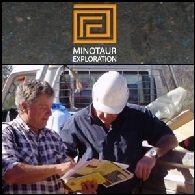 Minotaur Exploration Limited (ASX:MEP) declare new Copper-Gold Targets at Osborne Project with geophysical surveys currently underway across a number of targets and tenements at Minotaur&apos;s Osborne project, ~150 km south of Cloncurry, are producing positive results. 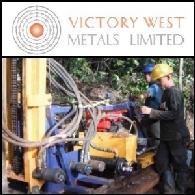 Asian Activities Report for October 28, 2011 includes: Victory West Metals Limited (ASX:VWM) has signed a Heads of Agreement to acquire 100% of South East Asia Energy Resources Pte Ltd; Centrex Metals Limited (ASX:CXM) has received payment of A$8M to commence Stage 3A of the Bungalow Magnetite Joint Venture with Baotou Iron & Steel Group Company Limited; Gryphon Minerals Limited (ASX:GRY) announces more outstanding drilling results from ongoing drilling at the Nogbele Deposit at the Company&apos;s flagship Banfora Gold Project in Burkina Faso; Ivanhoe Australia Limited (ASX:IVA) announces the completion of the Osborne Copper-Gold Study and the results of the Preliminary Economic Assessment of the Osborne Project in north-western Queensland. 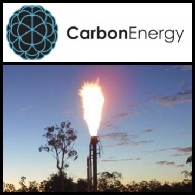 Asian Activities Report for September 16, 2011 includes: Carbon Energy Limited (ASX:CNX) has successfully achieved an Underground Coal Gasification process innovation at the Company&apos;s project site in Queensland; Ivanhoe Australia Limited (ASX:IVA) has launched an equity issuance to raise up to A$150 million net proceeds to boost project development; Iron Ore Holdings Limited (ASX:IOH) announced a maiden JORC Mineral Resource at the Dragon Project of 21.5Mt at 55.4% Fe; Interra Resources Limited (ASX:ITR) has completed infill development well YNG 3240 at the Yenangyaung oil field in Myanmar; Tata Consultancy Services Limited (BOM:532540) has signed a multi-year contract with Nets, one of the largest payment cards, payment solutions and payment exchange information companies in Northern Europe. 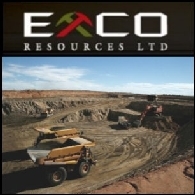 Exco Resources Limited (ASX:EXS) is pleased to announce that, in consultation with its major shareholders, it has conducted a review of its capital management options in the context of the Company&apos;s post-deal cash position. 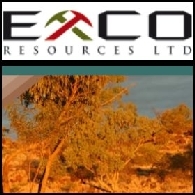 Exco Resources Limited (ASX:EXS) (PINK:EXRSF) clarify and update on sale of the Cloncurry Copper Project. 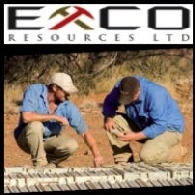 Following the first gold pour at Exco Resources Limited&apos;s (ASX:EXS) (PINK:EXRSF) 75%-owned White Dam Gold Project in April 2010, the operation has continued to perform extremely well. 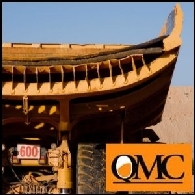 Queensland Mining Corporation Limited (ASX:QMN) is pleased to announce a major JORC Resource upgrade at its non-core asset Stuart Project (on ML 90083) in the Cloncurry region of north-west Queensland. 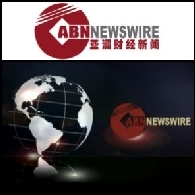 The Australian stock market opened lower on Tuesday, despite gains in Wall Street overnight. 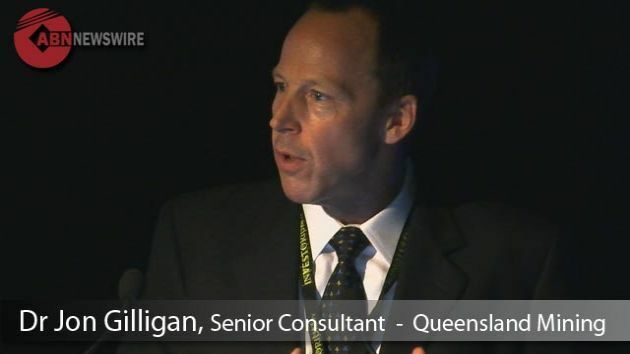 In early trade, the S&P/ASX200 index was down 0.17 per cent, at 4587.3 points, while the All Ordinaries index had fallen 0.14 per cent, to 4609.3 points. Materials fell 0.5 per cent, industrials index was down by 0.1 per cent and most banking stocks were lower.